Westlife are back! It’s been 20 years since they smashed into the charts in 1999 with ‘Swear It Again’ and went on to achieve a staggering 14 number one UK singles, selling 55 million records worldwide. 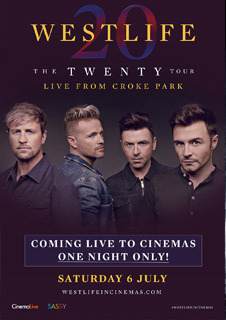 Now, their highly anticipated reunion tour, which sold out in minutes, is coming to cinemas worldwide on Saturday 6 July.